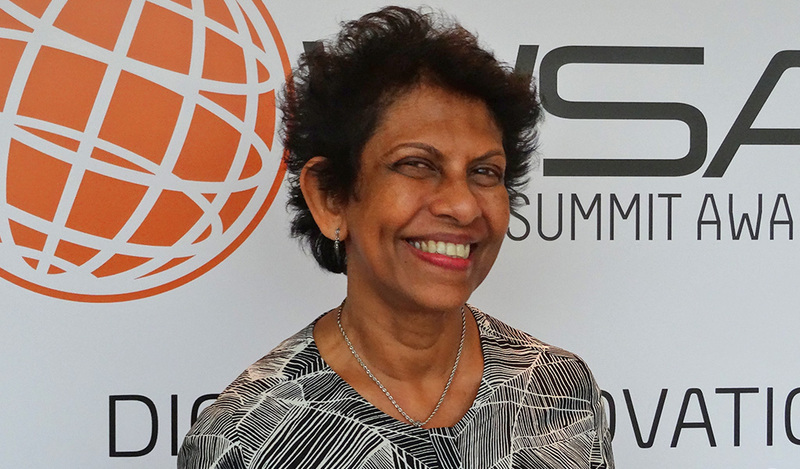 Chitranganie Mubarak has been at the helm of driving Sri Lanka’s digitization efforts, working in the domain of ICT for Development for almost 20 years. She was a major driver of e-Sri Lanka Development Initiative of the ICT Agency (ICTA) of Sri Lanka, where she gave direction to conceptualizing, planning and managing nearly 250 projects with wide ranging development outcomes. Several of these projects have been recognized internationally for their creativity and impact on society. She holds an Honours Degree in Chemistry from the University of Colombo and continues her close involvement in the higher education sector as a Member of the Governing Council of the University of Colombo, a Member of the Board of the Faculty of Graduate Studies both at the University of Colombo and the University of Kelaniya, the Board of the University of Colombo School of Computing, the Centre for Data Science and the Virtual Centre of the University of Colombo. She also serves as Director of two rural educational trusts. She is passionate in driving digitization for the development of creative minds that can help build a society with inspiration, compassion and zest for sharing. With her extensive experience in the domain for digitization for development she provides consulting and advisory services on driving innovative projects which leverage on digital for social good; digital content creation and Women in IT.